The three long-distance walks described in this book - the Suffolk Coast Path, the Stour and Orwell Walk and the Sandlings Walk - link together to provide a comprehensive and varied circuit of the entire Suffolk Heritage Coast. 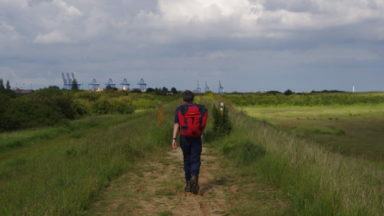 The Suffolk Coast Path stretches along the coast between Lowestoft and Landguard Fort, close to Felixstowe in the south, a total distance of 60 miles (97km) depending on whether beach walking or inland options are followed. The Stour and Orwell Walk continues where the Suffolk Coast Path ends, starting at Landguard Point threading for 40 mile (64km) around the estuaries of the Stour and Orwell rivers to finish at Cattawade, close to the Essex border. 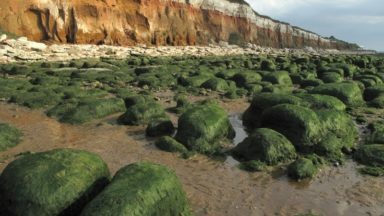 The Sandlings Walk (59 miles/94.5km) explores the heathland region that lies immediately inland from the Suffolk coast. With the exception of the first stage, between Ipswich and Woodbridge, the route of the Sandlings Walk lies entirely within the confines of the Suffolk Coast & Heaths AONB. With a unique landscape of cliffs, marshes, dunes and shingle beaches, and rare plants and birdlife galore, there is much to attract anyone seeking interesting day walks or longer multi-day itineraries. Stage 2. Text is fine but map on page 130 is shown slightly wrong. Between TM287503 – TM290501 the path stays along the riverside embankment and does not go via Melton Station as shown. Also between TM292500 – TM294501 the path goes via the boardwalk north of the A1152 and does not go via the A1152 and Common Lane as shown on the map. Stage 3. Although the text is fine the map on page 135 is slightly wrong around Tangham House. Between TM352480 and TM354484 the signed path goes north through woods prior to getting to Tangham House then east passing a toilet block and through car park to reach north/south lane. The correct route from here is TM359492 then north via TM359495 then west northwest to TM358495 - not direct in a straight line as shown on the map. All three are described as suitable for newcomers to long-distance walking. This is the second edition of this pocket-sized Cicerone guide to three connected long-distance paths in the Suffolk Coast & Heaths AONB, namely the Suffolk Coast Path (60 or 55 miles), the Stour and Orwell Walk (40 miles) and the Sandlings Walk (60 miles). All three are described as suitable for newcomers to long-distance walking. The Suffolk Coast Path runs between Lowestoft in the north and Landguard Fort, close to Felixstowe, in the south. With the exception of first stage, it lies completely within the Suffolk Coast & Heaths AONB. Both inland and coastal variants are included. The Stour and Orwell Walk threads around the estuaries of the Stour and Orwell rivers from Felixstowe to Cattawade, close to the Essex border. The route can be shortened by making use of the Landguard Fort to Shotley Gate ferry. 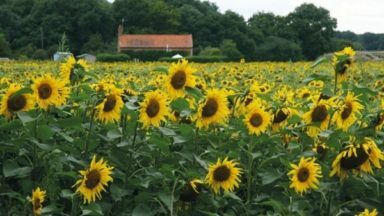 The Sandlings Walk explores the heath land region immediately inland from the Suffolk coast. It runs from lpswich to Southwold via Martlesham Heath, the River Deben estuary and Sandlings Heath. 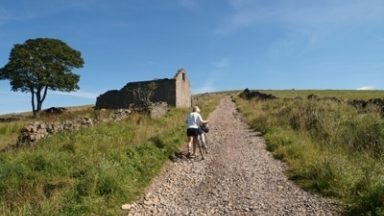 With the exception of the first stage, the route also lies entirely within the AONB. 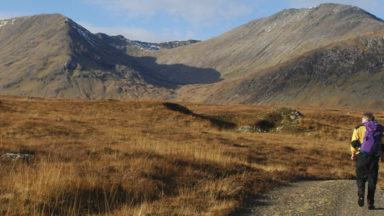 Each trail is divided into 5-12 mile stages which are summarised in an Appendix. Routes are drawn on Ordnance Survey strip maps without obscuring path details. Route descriptions do not always face their maps; there are no on-map descriptions other than the routes themselves. Binding may be more durable than that of other guidebooks. The paper appears to be water-resistant. A good feature of this guide is its advice and information regarding tides and seasonal ferries, as well as public transport. The book's page on the Cicerone website includes an Updates tab. Originally from the West Midlands, Laurence Mitchell has been based in East Anglia for longer than he cares to remember. He worked as a geography teacher for many years before finally reinventing himself as a freelance travel writer and photographer. 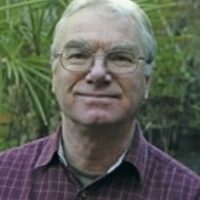 Laurence is especially interested in off-the-beaten-track destinations like the Balkans, Central Asia and the Caucasus region and has written guidebooks to Serbia, Belgrade and Kyrgyzstan as well as his own backyard of Norfolk and Suffolk, which he enjoys just as much as anywhere else. 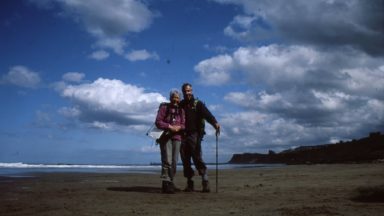 He is a member of the British Guild of Travel Writers and the Outdoor Writers and Photographers Guild.